Elementary school is definitely the place for me. Not as a student of course. I’m about 30 years too old for that, but as a teacher. I first became a teacher in 2002. 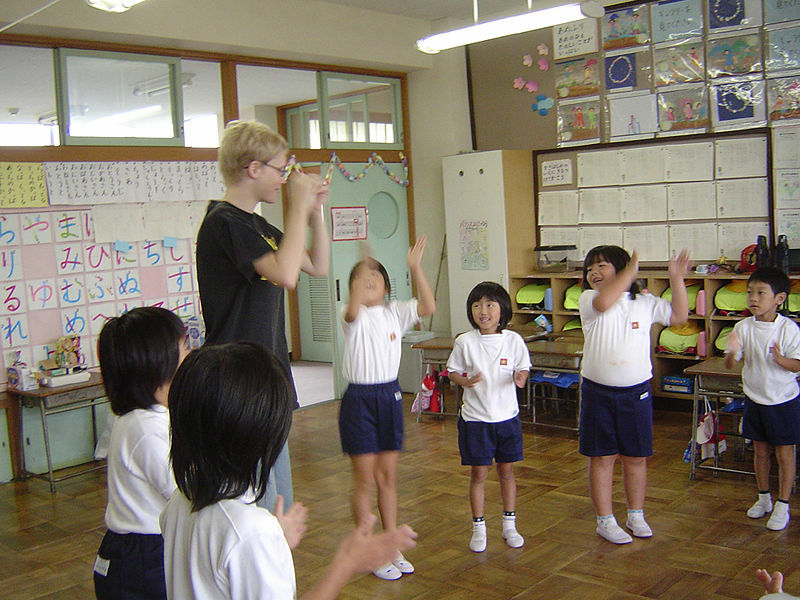 I had no experience or training of any kind, but was immediately thrown into a classroom filled with badly behaved Korean kids. I was a language schoolteacher outside of Seoul. Over the next five years I found myself teaching kindergarten aged students right on through to grandmas and grandpas. I taught all age groups and over those years was able to form a solid grasp on which age I was best suited to teach. I was also able to learn which age group I really enjoyed teaching. Elementary school worked best for me and I worked my hardest when teaching that age group. I just loved the fact that the students were old enough to do things independently and with minimal guidance, yet still have that youthful exuberance that makes a classroom a fun place to be. Elementary school students, for the most part, could be silly and wonderfully child-like, but when needed, could take their work and lessons relatively seriously. When I decided to go back to Canada and go to Teacher’s College to get my Bachelor of Education, which division to go into was a no-brainer. I joined the Elementary Education section and became a K-6 teacher. It’s 2013. After more than five years in Japan being a kindergarten and first grade homeroom teacher, I now find myself teaching older students. I actually teach junior high school students as well as primary school kids. The majority of my more than 1200 students are teenagers though and I have to admit that teaching them so far this semester has been an incredible challenge for me. There are many reasons why I’ve found teaching older students difficult. Some have to do with social issues and others with the fact that the students are simply hormonal teenagers. The biggest issue in the classroom has to do with Japanese cultural hang-ups around not making mistakes. Basically, “It’s better to not try than to try and make a mistake…and then possibly embarrass yourself.” You take that and mix it with the “self-conscious and awkward” teenager factor and you have a recipe for disaster when you are trying to get a room full of kids to speak a foreign language. Sometimes, depending on who my Japanese partner teacher is and how much the students respect them, the class can go fairly well. Other times, I might as well be performing to a room filled with stone statues, bored and apathetic looking statues. It can be tough. In Japan this is referred to as team teaching and a lot of how well it goes depends on the main Japanese teacher who has that class. The elementary schools I teach in are infinitely easier to teach at. There are of course many reasons for this as well. First, the students are kids. They are kids and they like to have fun. They are kids and have yet to develop that crippling sense of being self-conscious and embarrassed by what others may or may not think of them. At this point in their lives, most of them really don’t care about it. They are excited to have a foreign guest visit their school and teach them. The days I show up to their schools are special events so to speak. The second thing that makes it so much more fun is that at all of my elementary schools I do no team-teaching. I plan the lesson and run the entire class independently. The homeroom teacher normally just stays at the back of the room, or in the case of the fun ones, participate! Again, team-teaching can be good if your partner teacher is competent, but that’s certainly not always the case. My classes in elementary school are simply fun. The kids smile and laugh and are not shy to use the little English they know. They love the games we play and will even sing songs with me. Long story short, I feel more comfortable teaching elementary school, but I realize it’s not for everyone. Some teachers prefer junior high and senior high school. They prefer teaching students who have a deeper knowledge of English and more life experience. As teachers or teachers to be, we all have our preferences. The key is to just try to be good at what you do and make sure that the kids in front of you have fun and maybe even learn some English along the way. Well said. I too find my ideal teaching range is 8-11, wherein they’re old enough to respect teachers and have a bit of self-control in the classroom, but not so old as to forget how to have fun.